Head to Westfield PlaySpace and let your little ones have fun while you keep a close eye on the action. 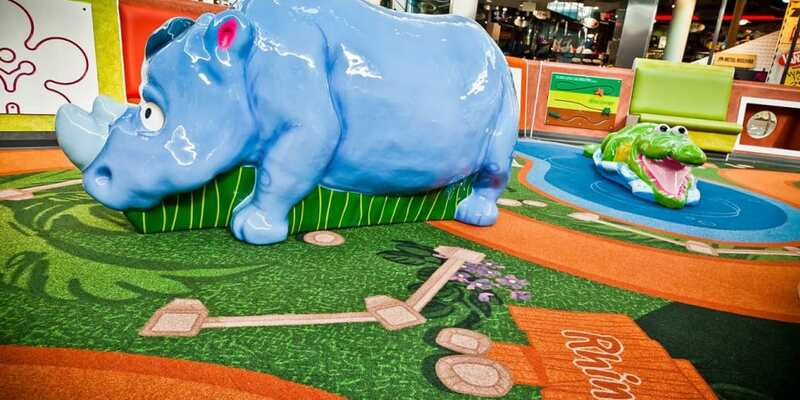 Kids can climb and explore the bright, colorful play area filled with animal characters, large puzzles, and plenty of space to stretch those active little legs. Todddler PlaySpace, for children 36" or shorter, is located near Sears. PlaySpace is located near Tilly's.